“I have been framed in the Benazir Bhutto murder case by way of political victimisation, while I had nothing to do with her untimely and tragic death,” the former President said in a statement that was cited by Xinhua news agency. “The verdict of the Rawalpindi Anti Terrorism Court in the murder case of Former Prime Minister Benazir Bhutto is not against me. My case has been kept on the dormant file and I will certainly come back to Pakistan and face the trial, when I am medically fit,” he further said. 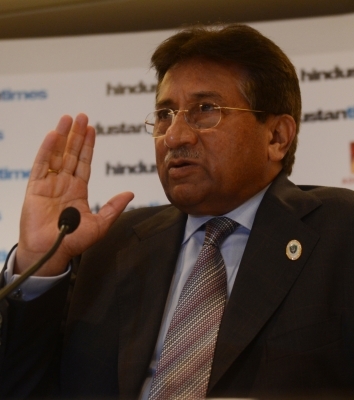 An anti-terrorism court last week declared Musharraf as fugitive when it delivered the long-awaited judgement in the case. The court acquitted five suspects and jailed two senior police officers for 17 years each for negligence and removing evidence from the crime scene. The court also ordered confiscation of all property of Musharraf for his failure to appear before the court despite repeated orders. “As regards the observations of the learned Court pertaining to attachment and confiscation of my properties, my lawyers are examining the matter and either some proceedings would be filed by myself or my family, but only to that extent,” he said. He said there is no iota of evidence against him, except a heresy statement of American lobbyist of Prime Minister Benazir Bhutto, Mark Siegel, whose testimony has been completely “demolished by my lawyers in cross examination”. “I have not been the beneficiary of Prime Minister Benazir Bhutto’s murder and the entire case as pitched against me is materially false, fictitious, fabricated and is a result of political intrigue,” Musharraf said. Bhutto was killed in firing and suicide bombing in the garrison city of Rawalpindi on December 27, 2007, after she addressed an election rally. Musharraf, who now lives in the United Arab Emirate, was ruling the country that time.